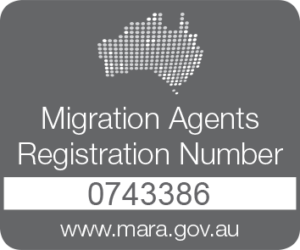 Migration Agents Regulations 1998, and Australian Citizenship Act 1948 among others. She possesses good communication skills, is approachable, very organized and focused. Ms Njomo is passionate about her job as a migration consultant and participates in continuous professional development on a regular basis to keep her knowledge current to reflect the changing migration regulations. Ms Njomo also studied under NAATI to become amongst the few recognised Swahili Translators and Interpreters in Australia. The Swahili welcome found at the TAFE Open Training and Education Network (OTEN) website has been translated and interpreted by Jane Njomo. Jane travels frequently and operates from the Sydney and Kenya offices. Rose is in charge of the student visa application section, based in Nairobi and Eldoret, Kenya. She has over 7 years’ experience in this area. She has over 20 years’ experience in Business Administration. Rose is the key facilitator in Career counselling, Education counselling, College applications, follow up of active students and their parents. She seconds Jane in liaising with the universities and colleges regarding student placement. Lilian has a Bachelor of Information Technology. She is the wiz behind smooth day-to-day operations of Let’s Migrate To Australia. She provides invaluable support to the local & international teams. Her genius in IT as well as her Social media savvy enables us monitor and maintain our presence on the different social networking sites. Jennifer has extensive training in Business Administration. She handles communication and correspondence between offices. She also deals with client data management, office management and also assists with the marketing.